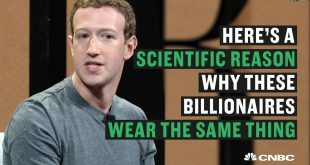 A businessman like Jeff Bezos, Mark Zuckerberg, and Elon Musk are constantly in the news for their business achievements and personal controversies. 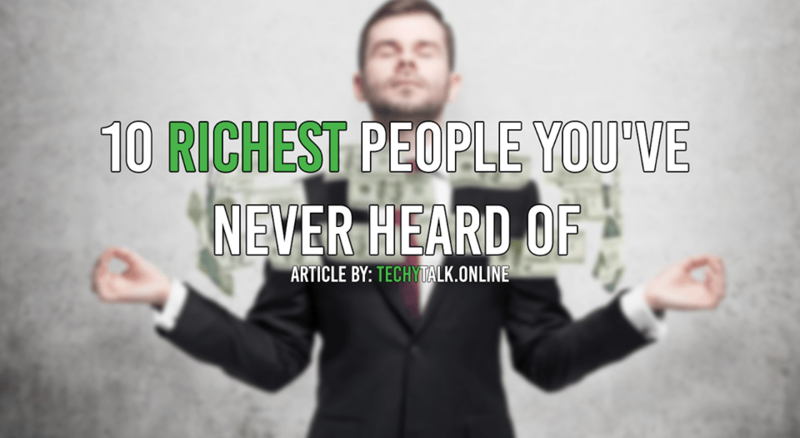 From Luxury brands to tech Juggernauts, today I am showing you ten of the richest people you have never heard of. Bernard Arnault – Most of the persons don’t know about Bernard Arnault but there are most of his products you have seen in your life. The products are supported by all the celebrities and ultra-wealthy peoples. The luxury group he oversees LVMH is the parent company of brands like Louis Vuitton, Moet and Chandon, and Hennessy Cognac. These companies control about half of LVMH which had revenue of 42.6 billion euros in 2017 making him the richest man in France. 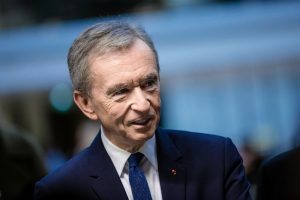 In addition to LVMH, Arnault oversees further investment in holding vehicles group, Invested in Netflix and blue capital, and also took a major stake in French food chain care for. He also invested in Boo.com and a variety of other online ventures. He started his career by working for his father’s manufacturing company for the first five years. After that, he insisted and somehow managed to convince his father to start a real-estate business, and then they started a new company initially developed a special holiday accommodations building in 1974. And then he did so much extraordinary in his life, and now holds more than $60 billion of worth. Carlos Slim – Did you ever imagined that a single company holds the grocery store, the cell phone provider and the biggest national construction conglomerate at the same time. No matter where ever you shop you are supporting the same business. 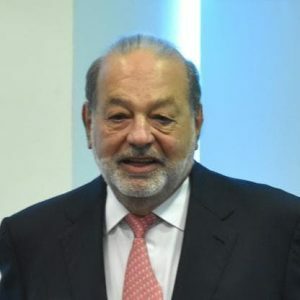 The 78 years old Mexican citizen Carlos Slim is at the top 10th position in world riches personalities. His Services includes Education, Health Care, Manufacturing, Transportation, Real Estate, Media, Energy, hospitality, entertainment, high-technology, retail, sports, and financial services. He was born to a Mexican father and a Lebanese mother. From the young age slim was always interested in both finance and engineering. He received a degree in mechanical engineering in 1961. Slim also stated that his mathematical ability and his background of linear programming was a key factor in helping him gain an edge in the business world. 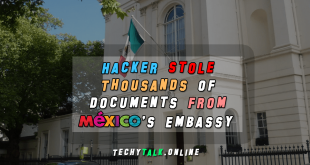 Especially when reading financial statements because from where he worked 14 hours a day at the Mexican stock exchange. Eventually, it cranked $400,000 of his own money to invest across various sectors, and the rest is history. He currently owns around 64.6 billion USD. 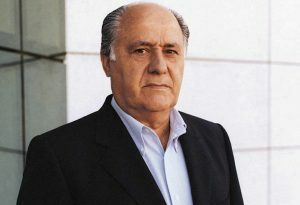 Amancio Ortega – He was the founder of Inditex which includes several fashion chains including Zara, Pull and Bear, Massimo Dutti, Bershka, Stradivarius, Oysho and Uterque. As a Youth in North Western Spain, Ortega gained entry into the garment business by as delivery boy for a man shirt store and as an assistant at a tailor shop. He later managed to clothe store that like the men’s shirt store catered for a wealthy client. Ortega saw an opportunity to expand his client based by using less expensive materials and more efficient manufacturing systems. Ortega founded the first Zara ready to wear clothing store in 1975. He is currently owing around 63.8 Billion USD. Mukesh Ambani – Mukesh Ambani is the richest person in India and the 18th richest person in the world. The Yemeni born Indian business is the chairman and managing director of the Indian Reliance Industries Limited. It is the foremost company of Indian energy and materials. Ambani was one of four children of Dhirubhai Ambani, who first worked as a gas station attendant. 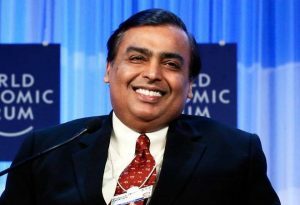 Mukesh Ambani has earned the bachelors degree in chemical engineering from the University of Mumbai, and subsequently pursued a master’s degree in business administration from Stanford University. However, he left the program in 1981 to join his family business where he worked to diversify the company venturing into a vast array of areas including Communications, Infrastructure, Petrochemicals, petroleum refining, polyester fibers and gas, and oil production. In 2004, he was nominated as the world’s most respected business leaders. He also owns a house in Mumbai which is worth around $2billion, and it makes the house as the most expensive in the world. He currently owns around 48.3 billion USD. 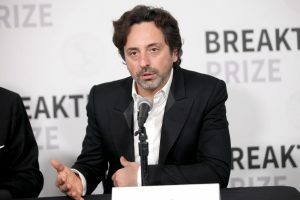 Sergey Brin – He co-founded the world’s most used website with larry page in 1998. He is one of the masterminds behind Google. But, he is now serving as the president of googles parent company Alphabet. He was born in Moscow in 1973; Brin immigrated to the United States with his family from the Soviet Union at the age of six. He earned his bachelor’s degree from the University of Maryland in mathematics and computer sciences. Then, he acquired a Ph.D. in computer science from Stanford University and met his partner Larry page as his friend. He currently owns $50.3 billion. MA Huateng – He is a well known richest Chinese business magnate, Investor, Philanthropist, Engineer, Internet, and Technology Entrepreneur. He is the founder, Chairman, and CEO of Tencent. 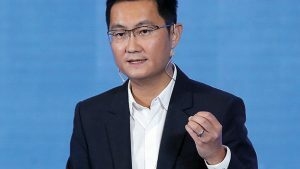 It’s the Asia most value able company, he is holding the largest internet and technology companies and the biggest gaming and entertainment conglomerates in the world. 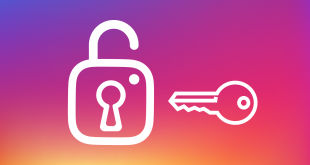 His company is also providing china’s biggest mobile instant messaging service. He is also marked in Time Magazine as one of the world’s most influential people. Moreover, Forbes mentioned him as the most powerful personalities in 2018. He currently owns 38.8 Billion USD. Hui Ka Yan (Xu Jiayin) – Was born in 1958. He is the Chinese real-estate developer and a Chinese billionaire businessman. 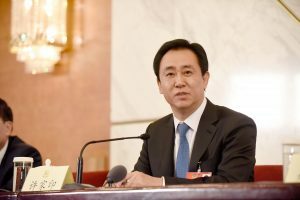 He is the founder and Chairman of Evergrande Real Estate Group. With his enterprise, he is active in residential commercial and hotel property development. 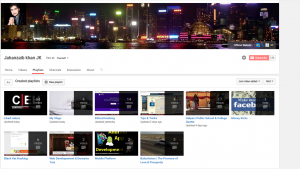 His company has more than 700 projects in more than 240 cities in China. He completed his education from Wuhan University of Science and technology. He currently owns 33.2 Billion USD. Karl Albrecht – He is the founder and owner of the popular discount store All Day. 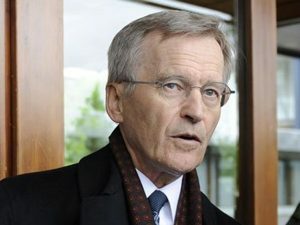 He is the richest person in Germany and fourth wealthiest in all of Europe. He was born on 20th February 1920, in Essen Germany. His father was a miner, and his mother owns a small grocery store. He earned all this money with his entrepreneurial skills and talent. His brother worked alongside him while he transformed his mother’s small grocery store which was situated in a corner into what it is today. Today they have more than 4000 stores all around Germany, and more than 8000 stores in France, Australia, Greece, Portugal, Great Britain, Spain, Switzerland, The U.S, and Poland. The ownership of this is split between two brothers. Both of the brothers have died now but still, the Net worth makes them in the top 10 list. 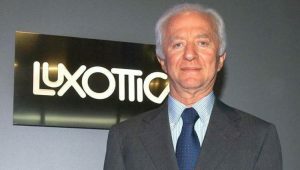 Leonardo Del Vecchio – He is the second wealthiest man in Italy. He is the president and the founder of the world’s leading company in the development production, marketing and distribution of glasses. The company is none other than Luxottica; they make their own glasses and are the world’s leader in the eyeglasses industry. He currently owns around 21 Billion USD. 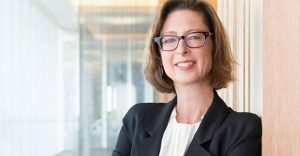 Abigail Johnson – She is the most powerful businesswoman in the world who is from the U.S. Since 2014, she is working as the president and CEO of U.S investment firm Fidelity investments, and also the chairman of its international sister company fidelity international. She completed her bachelor’s degree in art and history from the Hobart and William Smith colleges back in 1984. She later did her MBA from the Harvard Business School. Soon after graduating she was hired into an executing position in the family business. 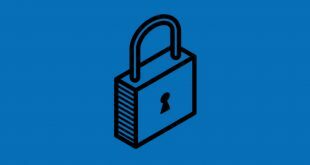 Previous How to Get into Copywriting?